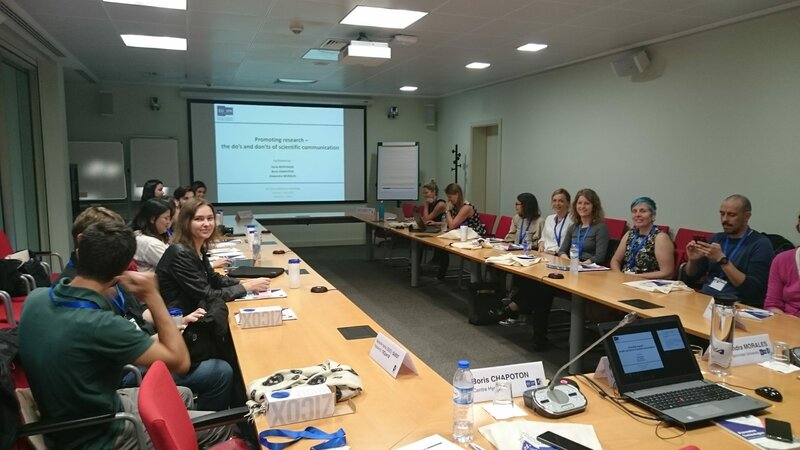 In this blog, Early Career Forum (ECF) members give an overview of the ECF events at the 9th Conference and Members’ Meeting of the European Society for Prevention Research (EUSPR). Read on if you would like to know more about what you have missed if you could not attend and get an idea the ECF events you could take advantage of at the 2019 EUSPR conference in Ghent, Belgium. The 9th EUSPR took place in Lisbon, Portugal between the 24th and the 26th October 2018. The conference celebrated multiple premieres: (1) the EUSPR conference received more submissions than ever before (2) the EUSPR sponsored a total of 20 early career bursaries (opposed to 15 bursaries in 2017) to attend the conference, as well as the pre-conference workshop and our networking event – many thanks!! (3) two pre-conference workshops were delivered (opposed to one in 2017). In sum, the EUSPR Early Careers Forum (ECF) was represented at the conference with at least one ECF event each day. As in 2017, we also offered members of the ECF the possibility to participate in the abstract review process, so as to help them develop their own abstract writing skills as well as to gain insights into what happens “behind the scenes” once an abstract is submitted. Below, we provide a brief overview of the conference; you can always find more information and additional pictures on our Facebook page, Twitter, or Instagram. The first pre-conference workshop dealt with scientific communication and was led by Ilaria Montagni, PhD (University of Bordeaux). Ilaria has a background in communication research and currently works in the field of health literacy and health communication. Initially, Ilaria presented a few theoretical aspects of health communication. 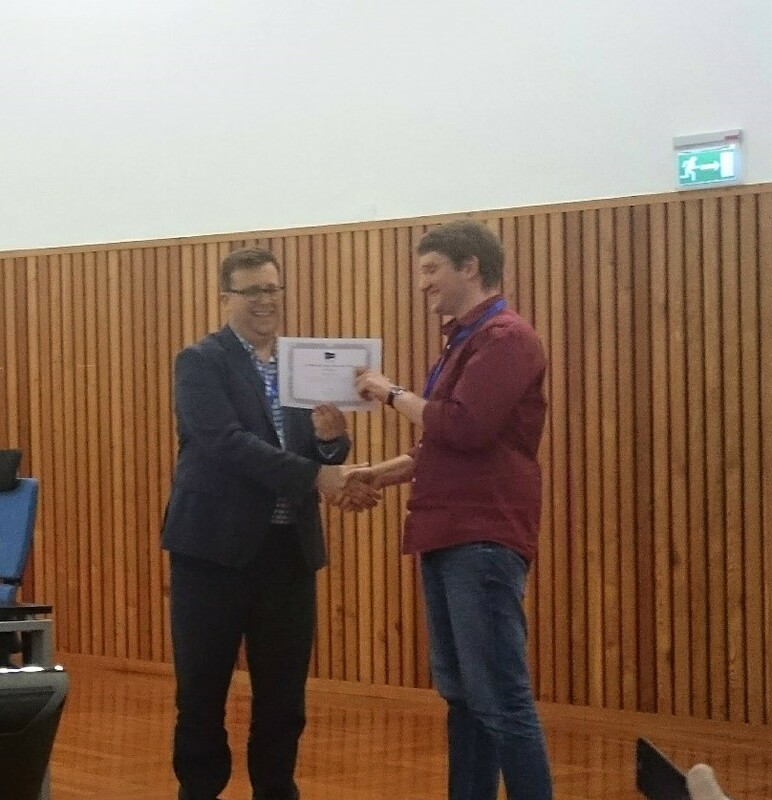 Two Early Career Award winners at previous EUSPR conferences, Boris Chapoton and Alexandra Morales, explained their winning presentations and identified key elements connected to their success. 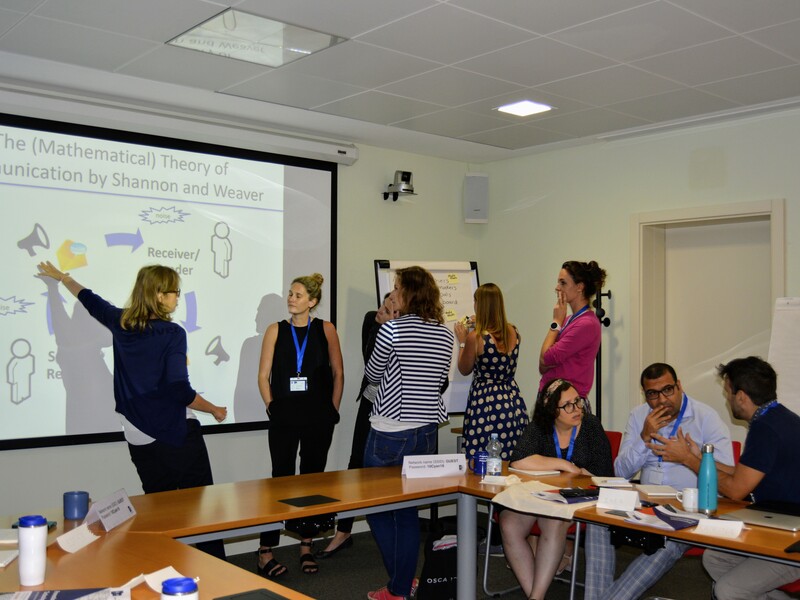 Then, all 23 workshop attendees were asked to design a strategy to communicate scientific findings to a target audience of their choice (ideally, connected to their research focus). These strategies were then discussed, critically evaluated and optimized. 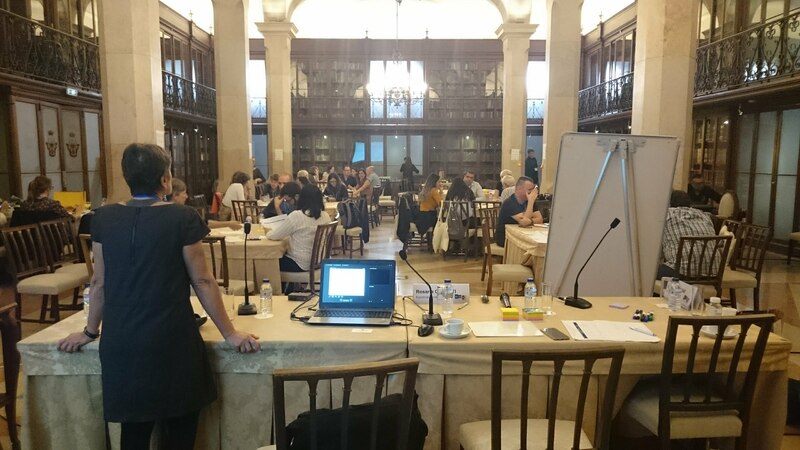 After a sumptuous lunch break at the lovely Lisbon City Hall, the second pre-conference workshop (led by Rosaria Galanti and Samuel Tomczyk) tackled the challenging question of how prevention research and practice can inform each other during the research process. To begin, Rosaria Galanti (Karolinska Institutet, Stockholm, Sweden) recited a rich example of several challenges and areas for practitioner-researcher exchange in a prevention project. The examples covered the development of the research questions and materials, the choice of target audiences and recruitment strategies, to the implementation, evaluation, and dissemination of the intervention and results. In the next phase, participants were grouped according to their main topic (which proved to be very hard to define) and asked to identify points of agreements and disagreements between researchers and practitioners that could inform future preventive work. Participants represented multiple disciplines with diverse roles within the prevention world, e.g., early career researchers, senior researchers, nurses, policy-makers and prevention practitioners, which resulted in an intense, but fruitful and very inspiring session. On the first day of the conference, Thursday, 25th October, early career participants were invited for a discussion with Prof. Laura G. Hill and Prof. Louise Parker (Washington State University) regarding the exchange opportunities for early career researchers. Fortunately for us, both came well prepared and presented several opportunities for PhD students and post-doctoral researchers in the field of prevention (separate blog post here). Unfortunately, this networking event shared its time slot with the lunch break and a poster session; therefore, attendance was not as high as desirable – there is always room for improvement in organizing the ECF events. In two special sessions, early career colleagues presented their interesting research on a variety of different topics, such as physical activity, drug prevention or mental health. In addition to the parallel early career oral presentations, early career colleagues also presented posters in two poster sessions. Outstanding Poster Presentation to Giovanni Aresi for the poster: “Differences between youth drinking cultures in Italy and the U.S.A. What are the implications for practice?” (find out more in our next post). Samuel Tomczyk the EUSPR ECF Lead was responsible for compiling the accounts of ECF members participating at the EUSPR 2018 conference. Elena Gervilla took care to capture the events on camera, Boris Chapoton monitored the Early Career Awards and the poster presentations and Mieke Snijder shared her impressions of the pre-conference workshop. For further information, you can contact Samuel at samuel.tomczyk[at]uni-greifswald.de . 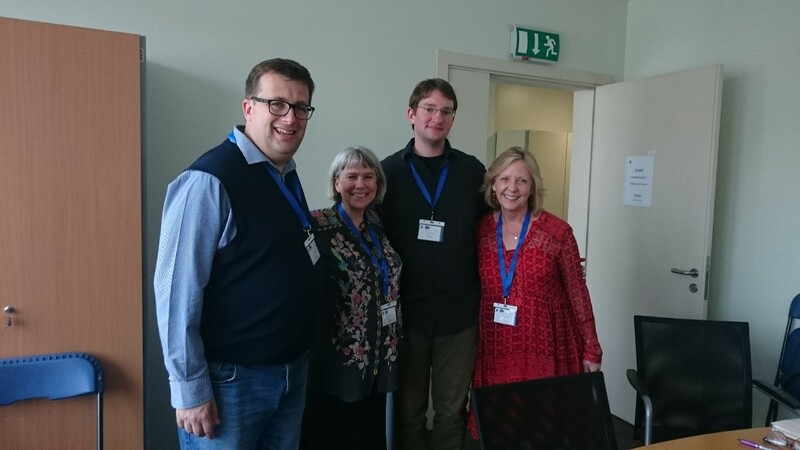 This entry was posted in About the Early Careers Forum, Boris Chapoton, Elena Gervilla, Mieke Snijder, Non classé, On being an early-career preventionist, Organising/Chairing Symposia, Our events, Samuel Tomczyk by EUSPR Early Careers Forum. Bookmark the permalink. Wow, looks like it was a great success!